Since 1800s when it first appeared on women shawls, the paisley pattern went in and out of fashion many times. 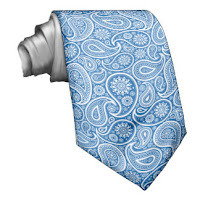 The pattern that we know as “paisley” is named after the eponymous town in Scotland, but it didn't originate there. 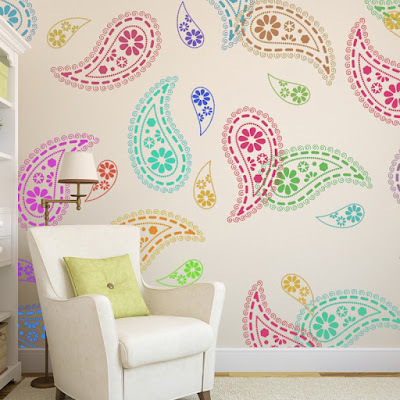 Paisley is a decorative pattern in the form of drops with floral ornaments. This pattern known also as a Persian or Indian cucumber. 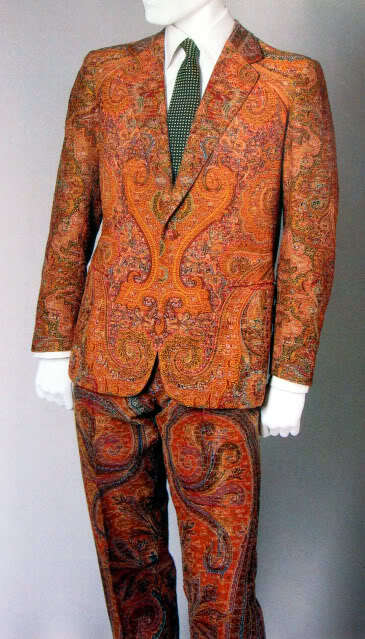 There are many theories about origins of the paisley pattern. 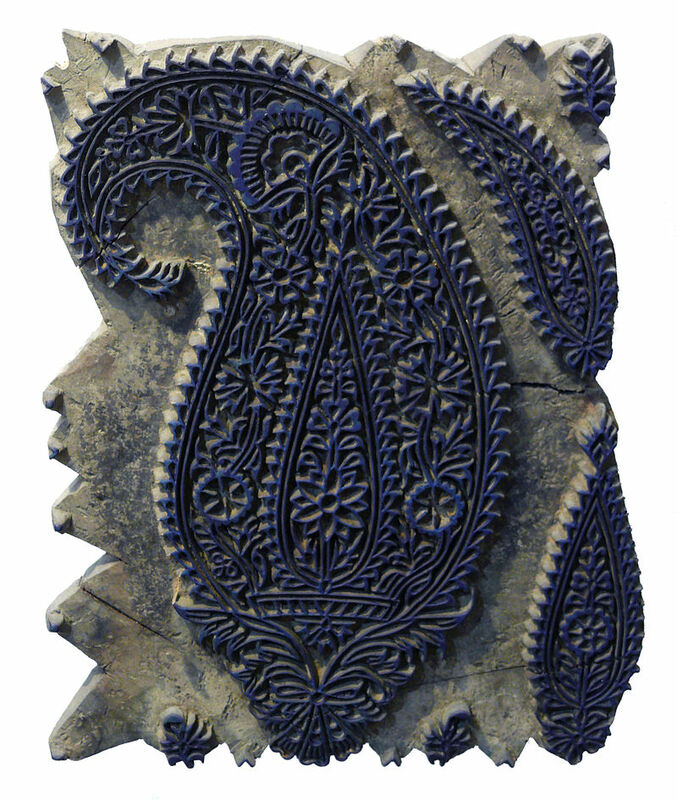 One theory is that it originated in ancient Babylon during Sassanid Dynasty, a period of time that stretches back to around 221AD. 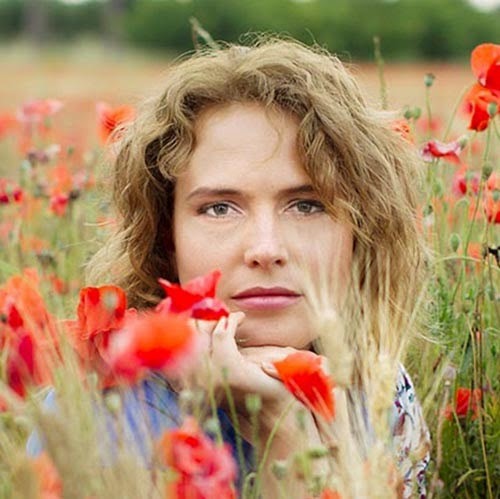 It took its inspiration from the growing shoot of the date palm, also regarded as the "tree of life", since it was important to Babylonians because of with food, drink, clothing and shelter provided by it. 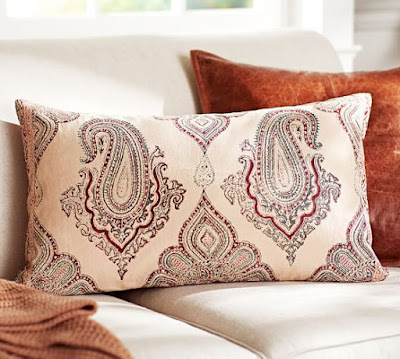 The motif spread from Babylon to India where it was incorporated into all types of design. 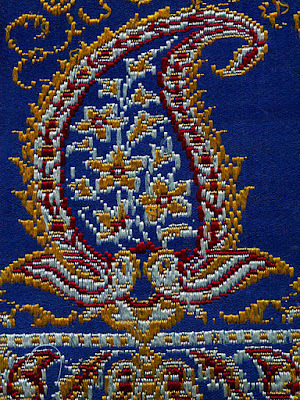 Persian silk brocade from the Pahlavi Dynasty. 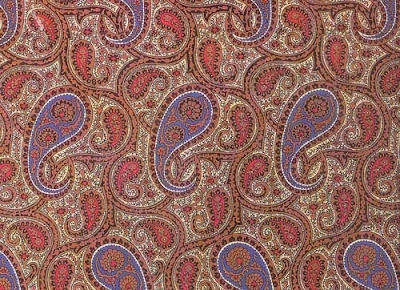 In Tamil culture, another region famed for its love of the pattern, the paisley design is known as Mankolam, as it resembles a Mango. Mango fruit is incredibly highly prized amongst the Tamil, it being a symbol of health, peace and prosperity. The symbol was not only used as a design to go into fabric, but something that would also be used in jewellery designs too, particularly for gold earrings or pendants. 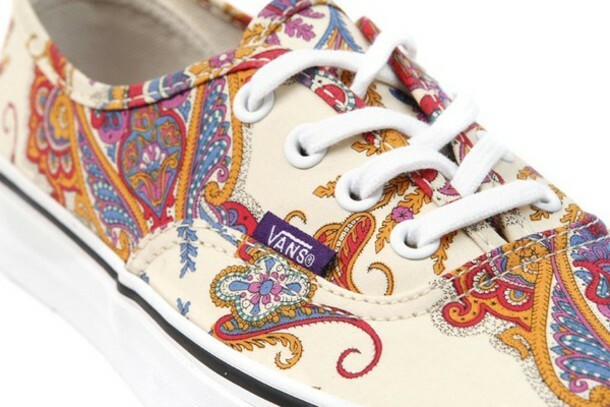 Many cultures in Middle Asia have used paisley pattern as part of their national ornaments. 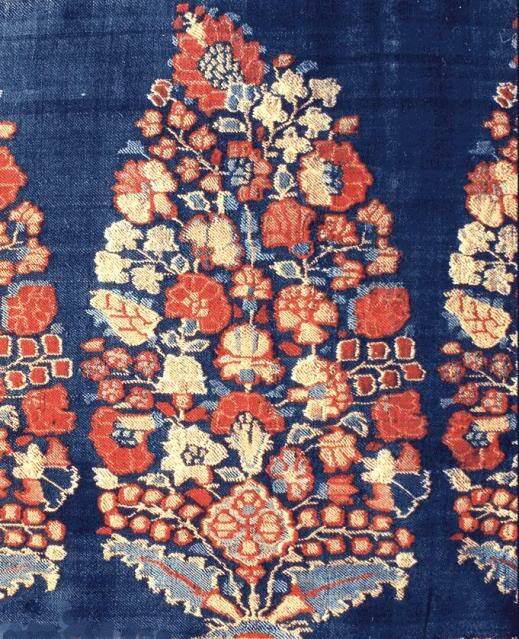 It has been widely used in the Kingdom of Kashmir - the famous textile center in northern India to decorate shawles. Like many other luxury goods the shawls arrived in Britain in the 18th century when travellers, explorers and military personnel as well as members of the East India Company brought them back as presents for their wifes, mothers ad sisters. The Kashmir shawl quickly became popular. 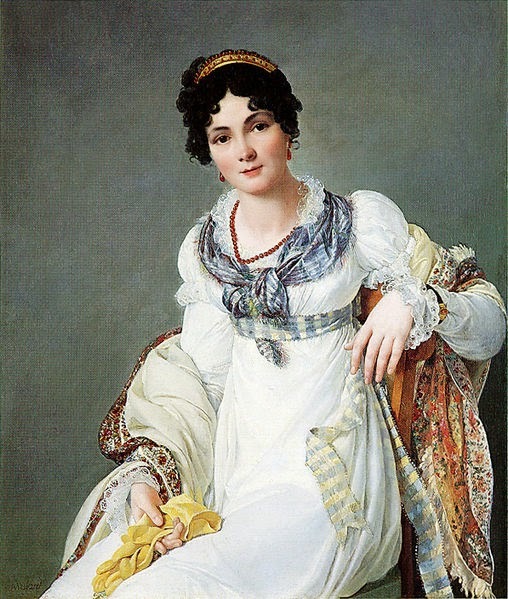 For a period of nearly 100 years, 1790-1870, they were de rigeur for wear by stylish women. Like today, the finest of these were made of cashmere from the Himalayans and Mongolia. This pattern is almost universally known for the town which gave rise to its popularity in the 18th and 19th centuries - Paisley, Scotland. Over time, the demand for paisley shawls greatly increased in Europe and imported shawls could not satisfy it, so it became necessary to produce paisley shawls in Europe. British textile manufactures seized the opportunity to reproduce these Kashmir shawls. 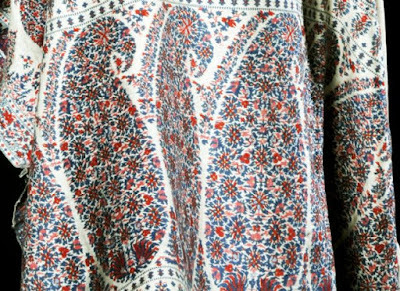 The real hurdle was in creating a shawl that had the same feel as Kashmir. 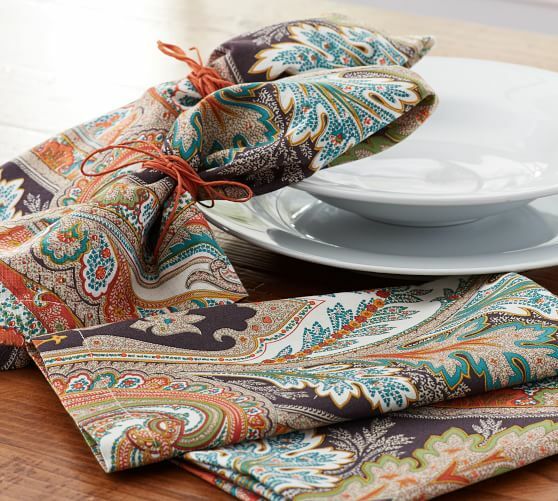 The first shawls woven in Paisley were made around 1808, and by 1850 there were over 7000 weavers in the town. 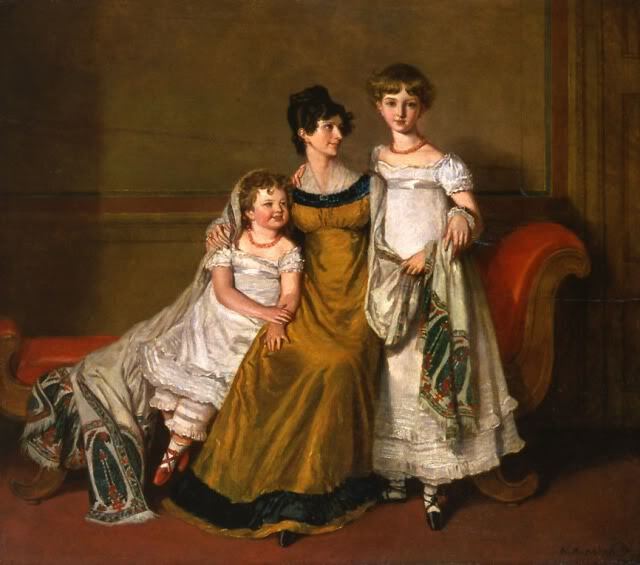 During the latter stages of the Victorian era, more technological developments meant that as well as the pattern being weaved into shawls it could also be printed onto cloth and garments. 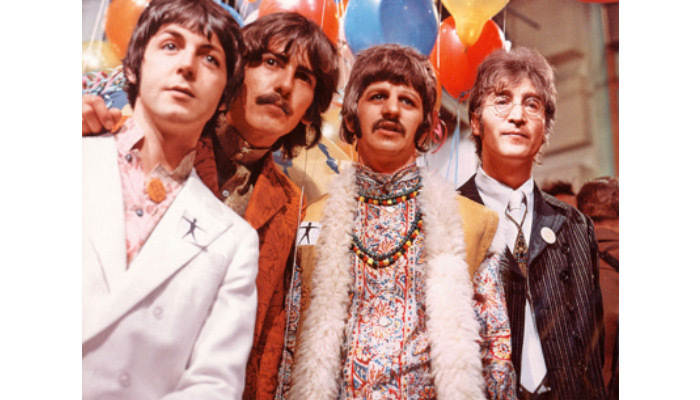 Once this happened, its popularity spread further, as it suddenly became much cheaper. But there were a number of reasons that Indian shawls remained popular despite the availability and relative affordability of European produced shawls. 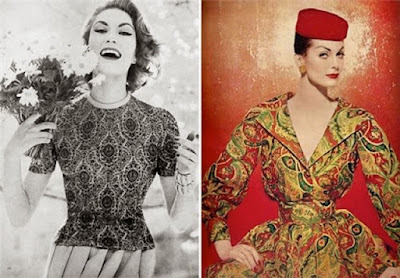 One reason was the superiority of cashmere to the wool and silk mixes available in Europe, the other was the superiority of Indian and Kashmiri weaving technology. 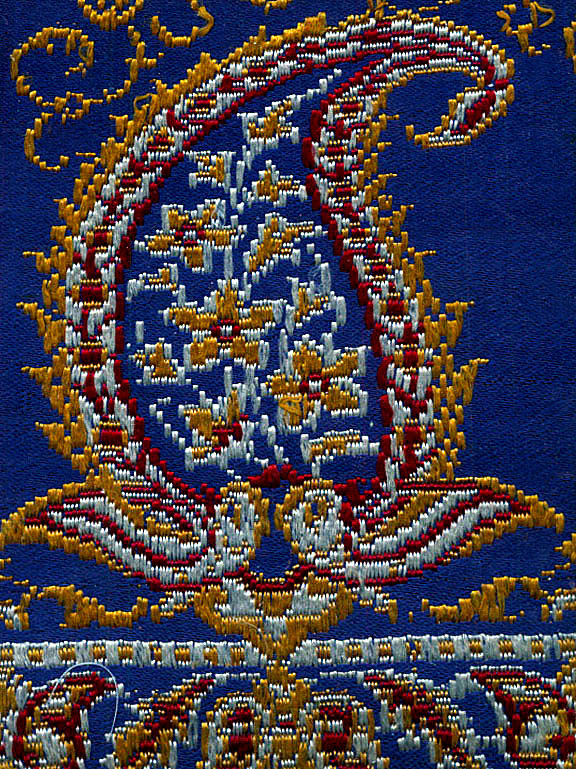 Indian weavers could weave shawls that were fully reversible, and they could weave many more colours into one shawl than was possible on European looms. 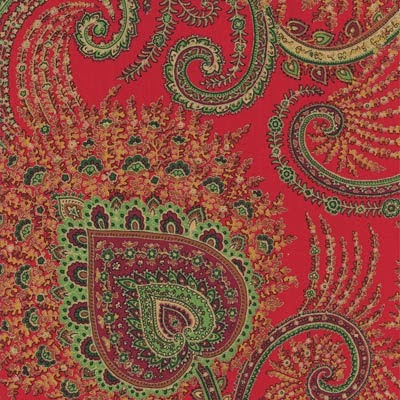 The decline of the paisley shawl in the early 1870s can be traced to a variety of events. 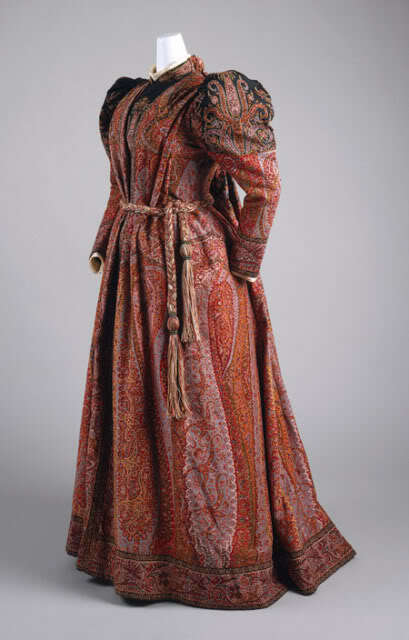 Fashions changed and with the advent of the bustle a shawl could not fall down the back easily, the Franco-Prussian war of 1870-1871 halted exports of shawls from Kashmir, resulting in the collapse of the industry, and by 1870 a woven Jacquard shawl could be bought for £1 with an identical patterned cotton shawl for a few shillings. It’s clear that while the pattern has experienced ups and downs over the years and tastes have changed, it will never truly disappear and will always have a place somewhere in our wardrobe or home. The new return of paisley takes another 70 years until 1960s, when pop icons including The Kinks, The Rolling Stones and Jimi Hendrix began to explore musical and artistic influences from Asia. 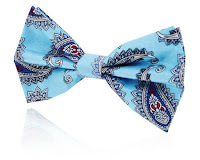 Due to its association with musicians and flamboyant lifestyles, and its stark contrast to the sober men’s fashions that had preceded it, the paisley motif became a symbol of rebellion and non-comformity.
. Paisley print is commonly found today on men’s ties and handkerchiefs. It has also recently resurfaced on women’s skirts and handbags. 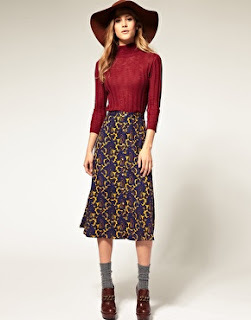 More recently, paisley print experienced a revival of sorts in a more modern version a skirt. 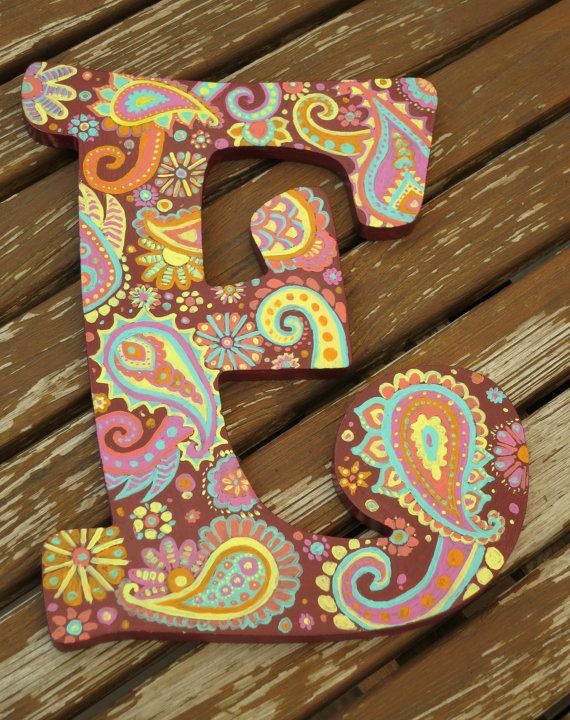 Now paisley back again for bohemian fashion and decor. 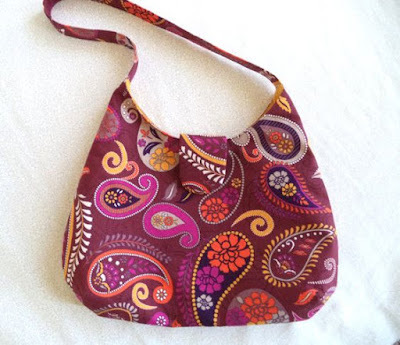 This is a pattern that can be found on so much more than just textiles. Paisley is also perfect for home décor: curtains, pillows, furniture and craft projects. I’ve found plenty of designs created by contemporary artists using this motif.